A comprehensive range of specialist instruments for the Industrial Coatings and Finishing Industry to read coating thicknesses wet and dry, air temperature and humidity during application, adhesion of dried coatings and more. Prevention of corrosion on steel is essential to extend the asset lifetime, optimise performance and minimise downtime for expensive maintenance work. Using our testing equipment ensures that industrial coatings are applied to the highest achievable quality standards of ISO compliance. They particularly help contractors ensure the surface and conditions are ok for application and can be a great help should any problems occur in resolving technical issues to understand the best way to rectify issues and move forward. One of the most accurate and versatile adhesion testers currently available. It measures the adhesion bond strength of applied coatings with ease and precision. The adhesion is measured by the tensile pull on a Dolly glued to the coating surface. Sika Tramex Moisture Meter is a handheld electronic moisture meter used for testing moisture conditions in concrete and other floor slabs and screeds. 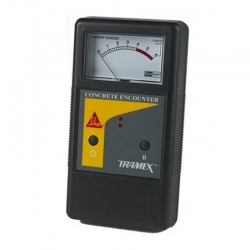 Versatile, precise and easy to use, the Sika Tramex Moisture Meter allows the user to make multiple tests over a large area in the shortest possible time. 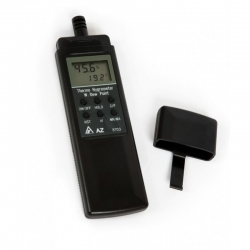 Sika Tramex Hygrometer is a pocket sized digital hygrometer providing fast and accurate measurement of relative humidity, temperature and dew point of the environment. Remmers Funcosil FacadeTest Kit is a test kit for measuring the absorption capacity of building facades and materials according to the Karsten method. 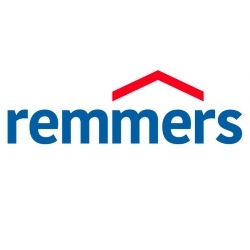 Remmers Matchstik Colour Detector is a unique colour detector for painted surfaces. Click on and it tells you the closest colour match.